Congrats Sly! The little one looks awesome. Wow man! Will you be selling any of these? Cool. I didn't even know you got any other BHS Morphs other than Albino and Striped :P They're actually a little creepy looking. I almost look like those skin coloured blind snakes. Fantastic looking snake! Would love to see the colours of the older two... Well done! 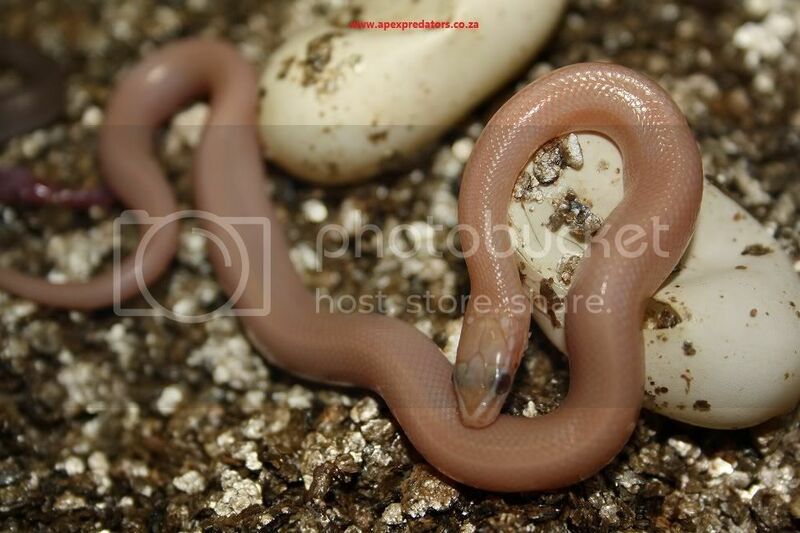 Revision of sentence: It almost looks like one of those skin coloured blind snakes. Really cool - they have such awesome colour! Hey Dean, just for you mate, can you say "YELLO"
Hope some day a few of these make it to Europe man - would love to get my hands on a few haha! Absolutely stunning! Congrats Deon very well done AGAIN! Just out of curiosity what will one of these specimens put you back when buying? Snake Kid:Price, i won't know, or even have a clue, but good news is that we should have, 20 breeding females producing this season so plenty butters soon. 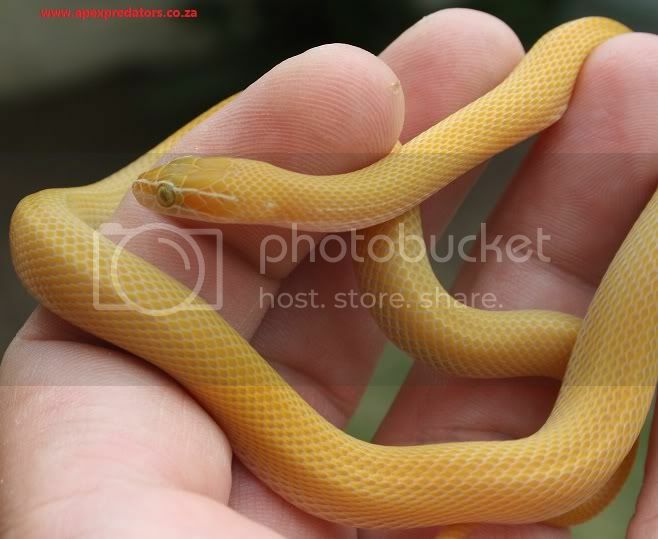 Dragon Breeder: Hi Erik, yes my friend we must look next season to swing a few into Europe.. thanks again chaps for your comments and interest, just got to love the African House Snake. Nice one Deon mate - I look forward to it! Yet again, congrats and that yellow is eye popping beautiful. Wow, that colour change is dramatic! The babies are simply gorgeous! Congrats.